Please note that this may not play in all jurisdictions, as it is in PAL format. Please check compatibility of your system before ordering. 96 Bold Street, Liverpool L1 4HY. 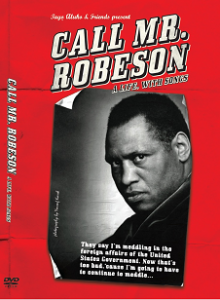 As a way of supporting my continuing work Sean Creighton, author of Politics and Culture – Paul Robeson in the UK has agreed to donate the full £2 purchase price. 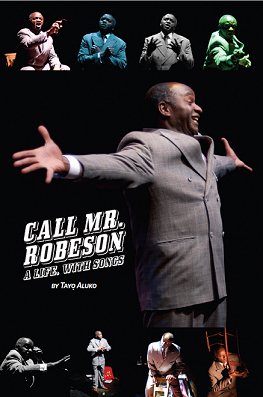 The pamphlet was developed from his talk at the 1998 commemoration of Robeson’s birth held at SOAS. Sean has attended many of my shows , inc. in Halifax (Nova Scotia), when we were both there. He also publicises my work through his event and news blog site. In his capacity as Co-ordinator of the Samuel Coleridge-Taylor Network, he is liaising with me on my SC-T project. 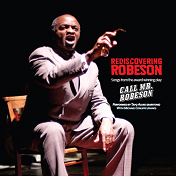 There will also be copies of the pamphlet on sale at my forthcoming performances.